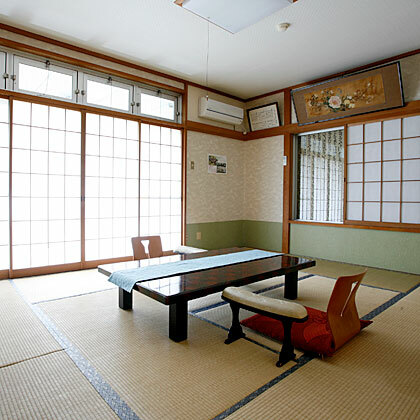 Your stay will be calm and relaxing, enjoying the view of Nakatsu River from our guestroom with a terrace. Please contact us to make a reservation for staying alone in one room. 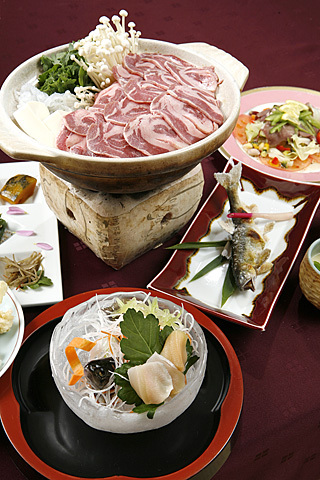 Guests will enjoy seasonal ingredients such as Ayu in summer and boar/deer meat in winter. To make a reservation, a deposit of 30% will be required. Guests will enjoy the luxury food. (12/31~1/3) Guests will enjoy japanese new year's special cuisine such as Osechi and Zoni (a soup with rice cakes). Guests will be served full-course of local cuisine, including Inoshishinabe (Boar meat hot pot), Game dish, Char or Trout, Daiginjo Sake [720ml] (An alcoholic drink made from fermented rice). This plan can be prepared for one person. Ideal for business trips or recuperation. Dinner will be served until 20:00. 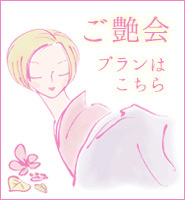 Baths (hot spring) are available until 23:00, but not allowed in the moring. 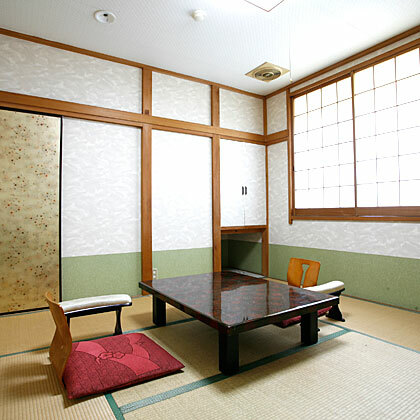 *There is an additional 1000 yen charge for one person staying in double room. *KOTOBUKI is a corner room. *YUME is a corner room. 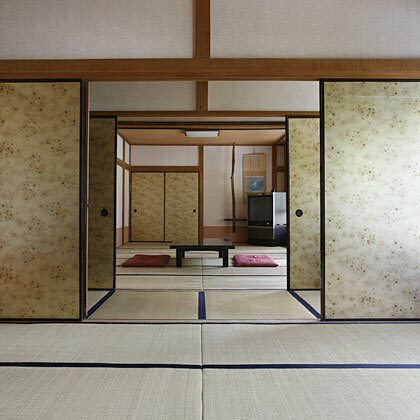 *This room is available as a large room depending on the number of people to stay and the application. copyright © komaya. All rights reserved.